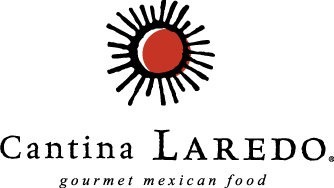 Nashville Scene: "Cantina Laredo is to Mexican as P.F. Chang's is to Chinese"
Gourmet Mexican restaurant chain Cantina Laredo opened its doors on the ground floor of the ICON in the Gulch in April. Celebrating the grand opening of CL's first Tennessee location were Mayor Karl Dean and several Metro Council members, including Sandra Moore, Walter Hunt and Erica Gilmore, according to a press release. The reviews on Yelp are 4.5 stars out of 5, and 85% of the voters on UrbanSpoon like it. The Nashville Scene thought the food was "darn good" and "pricey" in its initial review, following up with high praise for the service, salads and desserts in its full-length review, calling Cantina Laredo the P.F. Chang's of Mexican food. Hours are Sunday through Thursday from 11 a.m. to 10 p.m., and Friday and Saturday from 11 a.m. to 11 p.m. In addition to a variety of authentic Mexican dishes, other offerings include a Sunday brunch with complimentary Bloody Marys and Mimosas, preparation of fresh guacamole at the customer’s table, and catering services for events such as holiday parties and business meetings. Entrées are priced between $14 and $26. The restaurant is located at 592 12th Avenue South, (615) 259-9282. The Scene recommends calling ahead of time. The restaurant's Nashville competition includes La Paz in Green Hills, and Rosario's in Edgehill Village, as pointed out by William Williams in his City Paper review. Dana Grizzél of TheExaminer.com has a glowing review here, and GimmeYummy has an extensive review - with pictures - here. The P.F. Changs of Mexican food?